Neither of Blackburn Rovers’ two nearest title challengers managed a midweek win, while Bolton Wanderers netted a late decider at Northern Division 1 leaders Burnley. Neither Huddersfield nor Sunderland were able to make up much ground on leaders Blackburn, with the Terriers rescuing a point at Doncaster and the Black Cats letting slip a two-goal lead at Middlesbrough. Kirsty Smith and Chloe Bethell had the Belles two up but the Terriers hit back through Lucy Sowerby and Sarah Dobby. 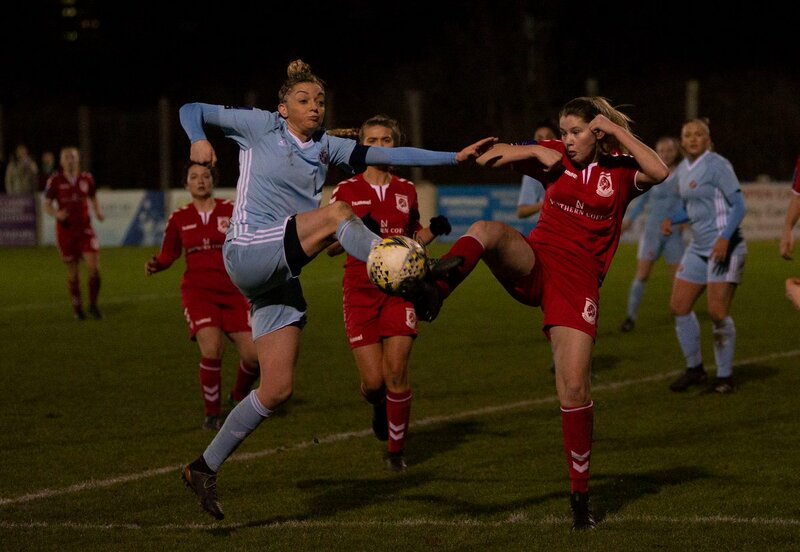 Bridget Galloway bagged a brace and Niamh McLaughlin got Sunderland’s other goal but Holly Manders second secured a point for Boro. 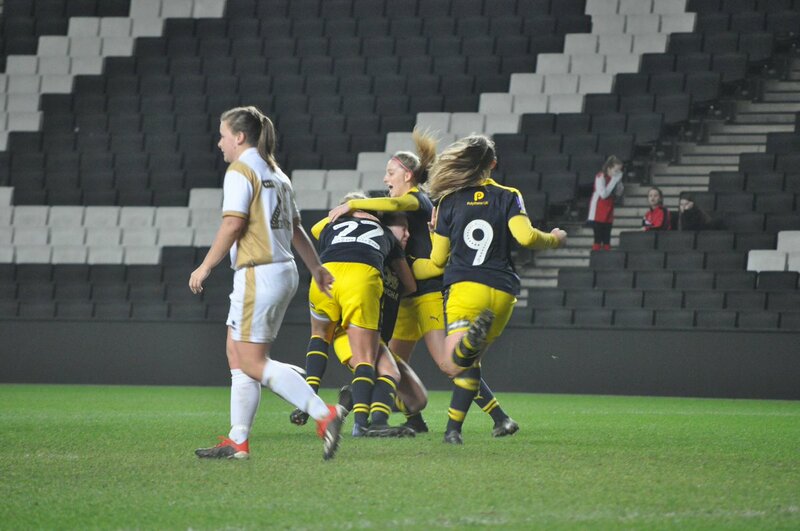 Goals from Flo Fyfe, Emily Allen and Cheryl Williams saw Oxford United win 3-0 at MK Dons and move up to third in the table. Watford slipped to fourth after a 1-1 tie at QPR, which was only Rangers’ third point of the season. Jo Wilson’s second-minute corner put the hosts ahead but Helen Ward won and converted a penalty before the break. QPR held on at the end after their numbers were reduced by injury and a red card for Hollie Hogan. West Brom thirteenth straight win was a thirteenth defeat for Solihull, the 11-0 thrashing including doubles by Hannah Baines, Laura Davies, Harriet James and Natalie Murray. Nettleham went fifth with two goals in the last half-hour at Steel City, Imogen Burnley sealing the points after Abigail Ringrose’s opener. Bolton moved into the top half of the table with a single-goal success at runaway leaders Burnley, Wanderers winning it with 5 minutes left. Leeds struck three times in the first 45 for a 3-1 result over Norton, which lifted them into fourth spot. 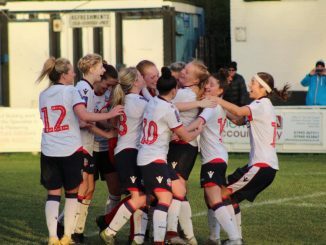 Morecambe’s second win of the campaign came 2-0 over Chorley with both goals by Jessica Tait but the result still leaves them six points from safety. 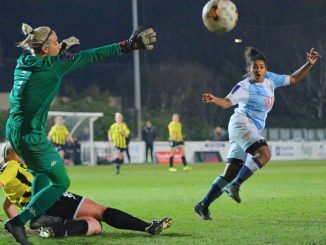 Crawley stayed four points clear at the top with as many goals at Wimbledon, where Naomi Cole netted two penalties, Rachel Palmer and Kemina Webber also found the net for an eleventh win in a row. 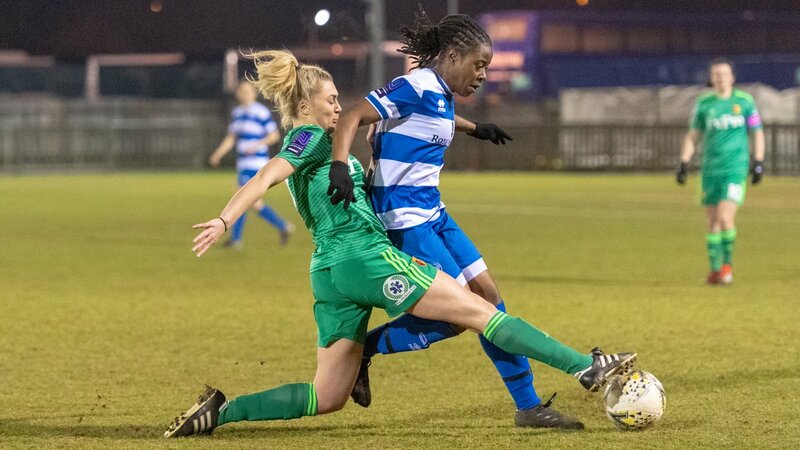 Billericay kept up the chase with a 3-1 defeat of Orient, Norwich leapfrogged Ipswich into seventh with a 3-0 victory in the East Anglian derby as Reeanna Cook got a couple, while Stevenage’s Ashleigh Deacon levelled in the last minute against Cambridge United. Chesham climbed to fourth with both goals of the game at Maidenhead, Tash Smith scoring in either half. The teams meet again in the Berks & Bucks Cup semi-final on Sunday.